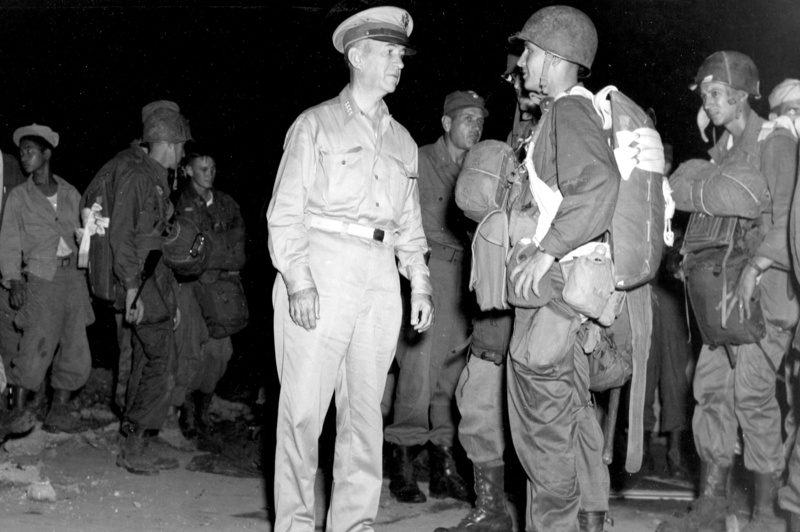 General Walter Krueger with men of the 511th Parachute Infantry, seen in the Philippines 1945. 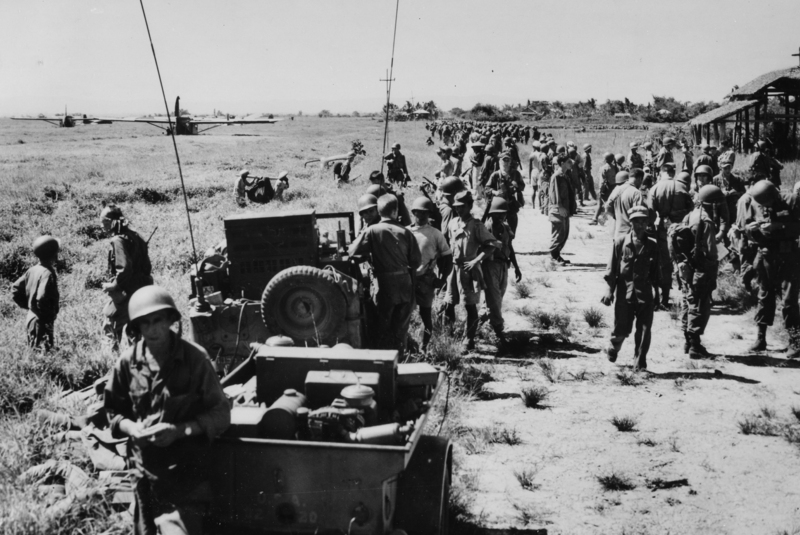 During the bitter fighting for Northern Luzon, Philippines in the final months of World War II, the 37th Infantry Division (Ohio National Guard) was tasked flanking the main Japanese positions and seizing the coastal town of Aparri. This was the scene of one of the first Japanese amphibious landings in the 1941-42 campaign. General Walter Krueger decided to commit elements of the 11th Airborne Division to the attack, which he hoped would ultimately surround one of the last major Japanese army formations on the island (Shobu Group with about 50,000 men). The 503rd Parachute Infantry Regiment, 11th Airborne, landing on Corregidor, February 16, 1945. The storied 11th Airborne Division was the only air assault unit available to General MacArthur’s Sixth and Eighth Armies. The men of the 11th had executed airborne landings at Nadzab, New Guinea, Noemfoor, New Guinea and had dropped on Corregidor Island right atop a garrison that significantly outnumbered them. Elements of the division at taken part in the Los Banos Raid, the liberation of Manila and had fought on Leyte and Negros Islands as well. The 1st Battalion, 511th Parachute Infantry formed the core of the task force assembled for this new mission, but men from the 187th Infantry, the 127th Engineers and the 457th Parachute Field Artillery also joined what would be known as TF-Gypsy. The plan called for a drop and glider landing on an airfield just out side of Appari. Once on the ground, the task force would push south while the Ohio National Guard advanced north to effect the link up. The operation began on June 21, 1945 when a small group of Pathfinders air assaulted onto Camalaniugan Airfield to prep the LZ. 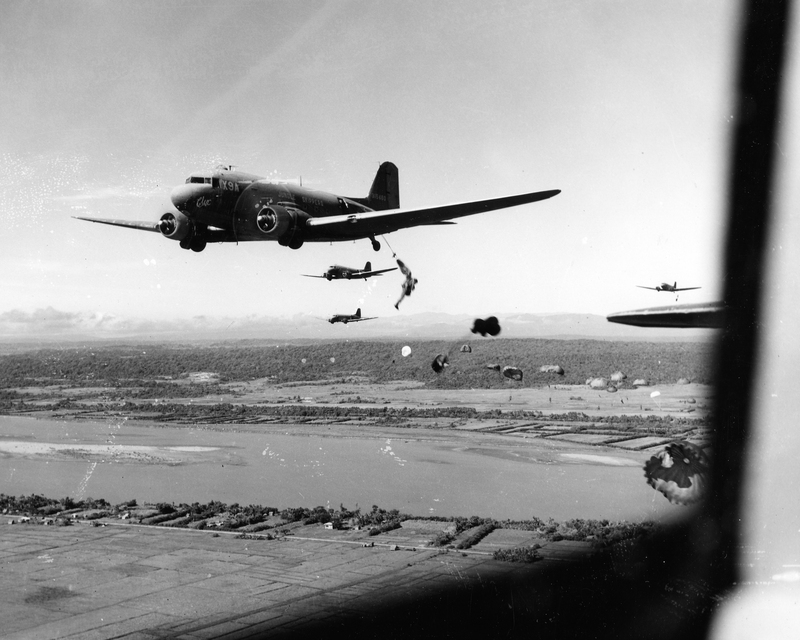 Two days later, on the morning of June 23rd, the men of Task Force Gypsy climbed into sixty-seven C-47’s and C-46 transports for the short flight to the LZ. As the aircraft arrived overhead, the Pathfinders on the group popped colored smoke to mark the drop zones. 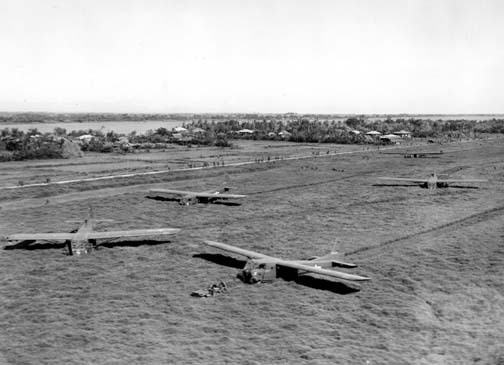 Four of the six Waco CG-4’s that took part in the Aparri landing are seen here in the LZ. June 23, 1945. Heavy winds hampered the parachutists. Two were killed and at least another seventy suffered injuries as they were buffeted by the winds and thrown into trees or other terrain features on the ground. 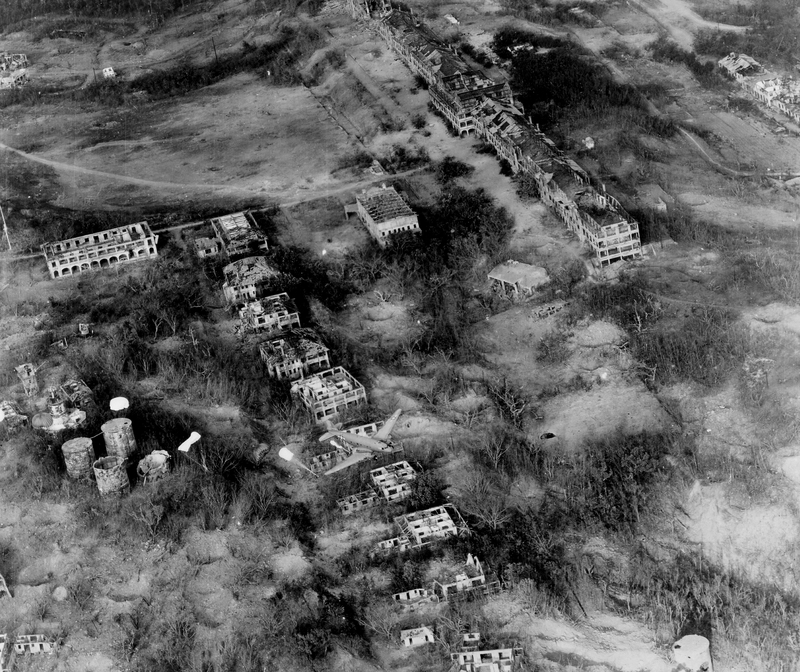 The airfield itself was poorly developed and the uneven ground proved treacherous. A half dozen Waco CG-4 gliders landed after the parachutists got on the ground. They carried the task force’s heavy weapons and jeeps, giving Gypsy a bit of mobility. The task force quickly assembled and began patrolling south of the airfield, where the paratroops ran into determined resistance. For three days, the men of the 511th and 457th Parachute Field Artillery Bn (attacked to TF Gypsy), burned out bunkers with flame throwers, destroyed pillboxes with 75mm pack howitzer fire and waited for the 37th to reach them. It took until June 26th for the two American elements to link up, but when they did, the Shobu Group’s escape route to the coast had been cut off. The Japanese troops faced a grim fate: starvation, death or surrender. TF Gypsy forming up and moving south from the LZ, June 23, 1945. The Aparri operation was the last American combat air assault operation of WWII. A number of combat cameramen joined the mission, taking extensive film and photographs while in the LZ. Below is one reel of uncut, unedited footage shot by one of those men on June 23, 1945.